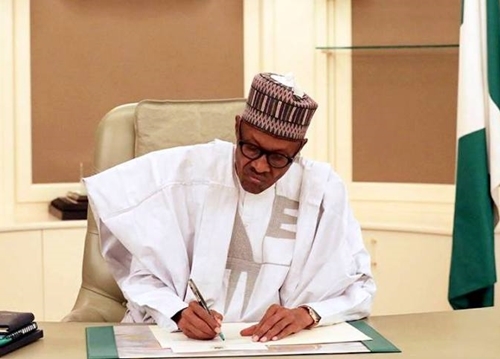 President Muhammadu Buhari has forwarded to the Senate the name of Chidi Uzowa for confirmation as Director-General of Infrastructure Concession Regulatory Commission. Mr Uzowa’s nomination was contained in a letter read by the Senate President, Bukola Saraki, on Tuesday. The letter reads, “In accordance with section 21 (a) of the Infrastructure Concession Regulatory Commission (ICRC) Act 2010, I hereby forward for confirmation by the Senate nomination of Engineer Chidi Uzowa as Director-General of Infrastructure Concession Regulatory Commission. In a separate letter, Mr Buhari wants the Senate to confirm six other people as chairman and members of the Nigeria Bureau of Statistics. “In compliance with section 8(2A and J) of the statistics act 2010, I write to forward here names of the chairman and members of the board of the Nigeria Bureau of Statistics for confirmation by the Senate of the Federal Republic of Nigeria. Attached herewith are the curriculum vitae.